Created by legal documents preparers with more than ten year of experience. 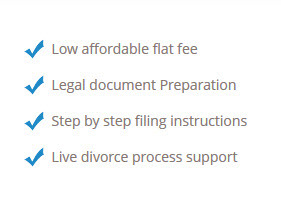 Arizona Quick Divorce™ provides individuals with an affordable uncontested divorce documents preparation services. We are not just a website we are physically located in Phoenix, Arizona. An excellent option for the consumer, saving thousands of dollars in Legal fee´s. 1- Personal Service: We do not automate our process. You will have direct contact with the legal document preparer, by email and or telephone. 2- Affordable- One flat fee, choose the best package for your needs. 3- Certified legal documents preparer Supreme Court of Arizona. 4- We use Arizona Divorce Superior Court standard forms.